A lot of hay has been made over Windows Phone "Tango" aka CR3/build 8773 of Microsoft's mobile OS. The update contains a lot of minor things and is mostly focused on compatibility with 256MB devices for emerging markets and low-cost Windows Phones. 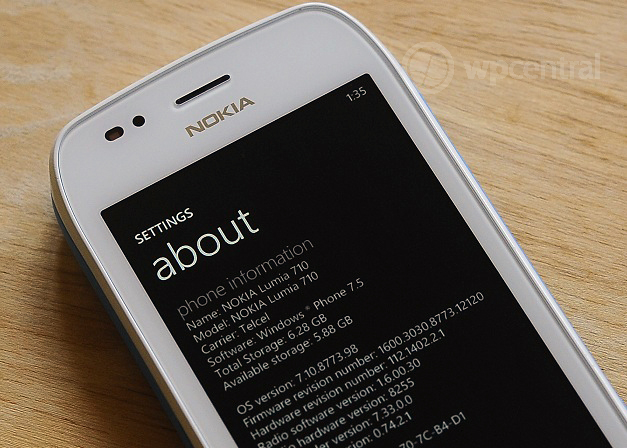 Nokia is hard at work with updating their ROMs for all Lumia phones and in fact if you use Navifirm to check, the Lumia 710 and 800 are getting heavily populated with new Tango updates, presumably being readied for roll-out in June. As you can see, some of those features are pretty great (especially Internet Sharing) but they're also not necessarily "must have" items either, making Tango a minor update, something we've been emphasizing for some time now. Still, Nokia has done a nice job here and we expect T-Mobile to roll this out sometime in June officially (just a guess). Some of you may wonder if the OS feels any different (faster, smoother, etc.) and to our eyes, no, it feels exactly the same. Perhaps there are some optimizations here and there but we really didn't notice it. We should also note the MMS issues we had in the video are probably due to this not being a T-Mobile ROM and more over, Nokia pulled their Network app to be fixed (it'll be back soon) so we can't configure our MMS gateway for T-Mobile. If you have any questions, ask away in comments. And yes, we'll see about whipping up a tutorial on how loaded Tango on our T-Mobile phone for you 'leet hackrz out there.